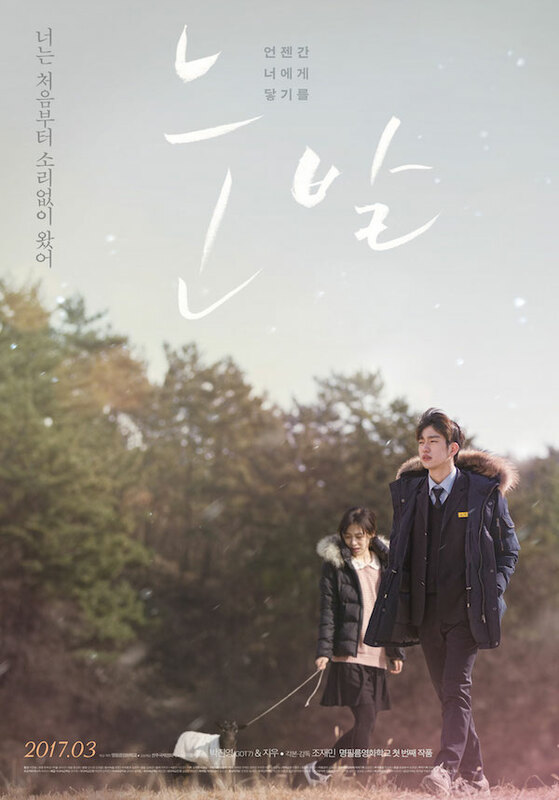 On a winter day, high school student Min-Sik (Jin Young) and his family move to Goseong. The city is his father’s hometown. At school there, Min-Sik meets Ye-Joo (Ji-Woo). Ye-Joo is an outcast and called "murderer's daughter." Min-Sik slowly gets close to her. Teresa_01 Apr 13 2019 11:49 am If I have to be honest I really liked the movie. It was very depressed and a little confusing in between. At some point in the film I realized that this could have happened in reality. It just seemed so real, and that was what made me think a lot about it. "A stray goat" inspired me somehow, every time my thought fell and that one should not judge people by what the rumors say and that had understanding of the background to it. So i the end the film was very interesting and instructive if you were spending time now. Sorry for my bad gramma. Filomena Ribeiro Apr 11 2019 1:10 pm The movie is very depressing. In that village everybody was horribe incunding the ones who go to church. The girl was treated very badly by evryone and when she found a friend he turns out that he is a coward . Really the boy desapointed me very much. And they did not show what happened to the girl in the end. Imcomplete movie. The writer failed. DnY Oct 20 2018 8:07 am does the church treat someone like that? the church is not worthy to have a priest like that. this movie wants to be made to look real like life around us, but many things are too forced. my opinion this movie is more disparaging to the church or religion because it treats someone like that. MVK Sep 03 2018 8:26 am It was a very confusing movie.But I love it so much because it is a reality for some people and I can relate with it.Like I said it was a very confusing movie especially at the end,but I think that is what it is.I love it tho.I hope Park Jinyoung appear in the big screen again. a.k. Apr 26 2018 3:06 am it was a perfectly sad and confusing movie that just leaves you in a trance throughout the day and makes you think about life. and how we should always make sure to be nice to people and not punish them for someone else's sins. most importantly never turn our backs on them, it just ends up us having a life long regret. but sometimes i wonder do people that horrible really exist in the world? are they even humans though? apart from that lets talk about jinyoung's acting.i swear jinyoung is such a face genius and an amazing actor because he conveys the pain and feelings of the character with such perfection and accuracy it tears me on the insides. same goes for the female lead. i felt her sufferings deep down to the bones. i hesitated a million times to watch the movie because i didnt want to cry but ended up balling my eyes out in the end anyways. blue Apr 26 2018 1:04 am This movie is so sad but a great one. bdxpelik Feb 13 2018 6:47 pm This movie made me downright furious. I was so angry, I couldn't even scream. Just... angry tears. Life was just so unfair for that girl. Joyous Jun 29 2017 11:58 pm Wrong move for watching this movie. This is really soooooooo sad. 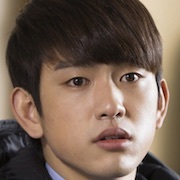 But Jinyoung and Jiwoo's acting was superb!! SeoHae May 27 2017 7:15 pm this movie kind of reminds me of Steel Cold Winter. The plot is the same with the girl and her dad being hated by the town also the main boy also moved from where he was to the setting. He also wants to protect the girl. Nima Apr 11 2017 1:51 pm Finally had to opportunity to watch the movie. I think the ironic allegories and elements of this movie is executed really well and is heartbreaking. I ended up with a heavy heart after finishing it but I am glad I saw it. Jiwoo & Jinyoung did really well. aghase Apr 09 2017 1:07 am This is a very sad movie.. It's an open ending but i guess ye joo commited suicide :'( Jinyoung's acting is good as always and also Ji woo. They were bullied alot. yosei Mar 02 2017 8:11 pm Can't wait to watch this :) Jinyoung fighting!! Olivia Carr Feb 27 2017 12:34 am Looks like another romance drama that Jr does a great job in acting. Jr is a wonderful actor, and singer, America loves him, and the Got7 group.